PacDesensitizer™ is recommended for desensitizing and pre-treating hyper sensitive dentin, enamel, cavity, and cervical areas. It chemically bonds to the surface of the tooth and down the sidewalls of the tubules; then cross-link to create an effective shield to lock out external stimuli and effectively eliminate post-operative sensitivity associated with restorations. 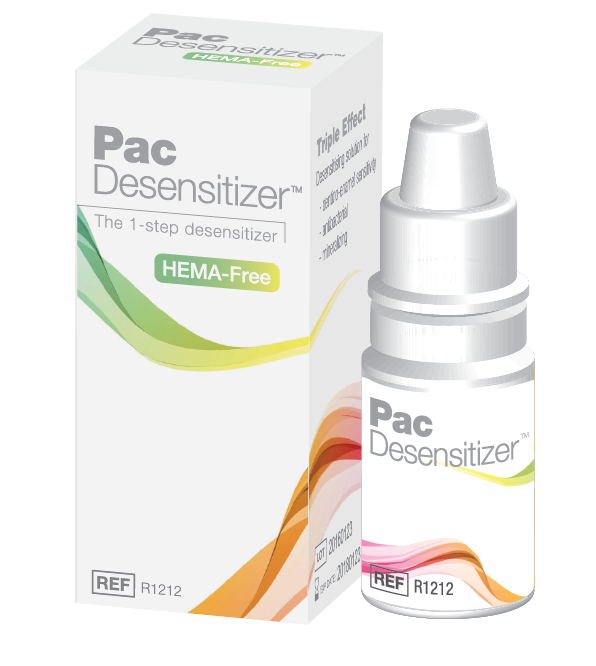 PacDesensitizer™’s HEMA-free formula is suitable for use with adhesives, cements, restoratives, amalgams, core build-up and temporary materials.